Green Foods core belief: The best way to nourish our bodies for peak performance is with natural, organic & bioavailable products that provide essential nutrients for optimal health. 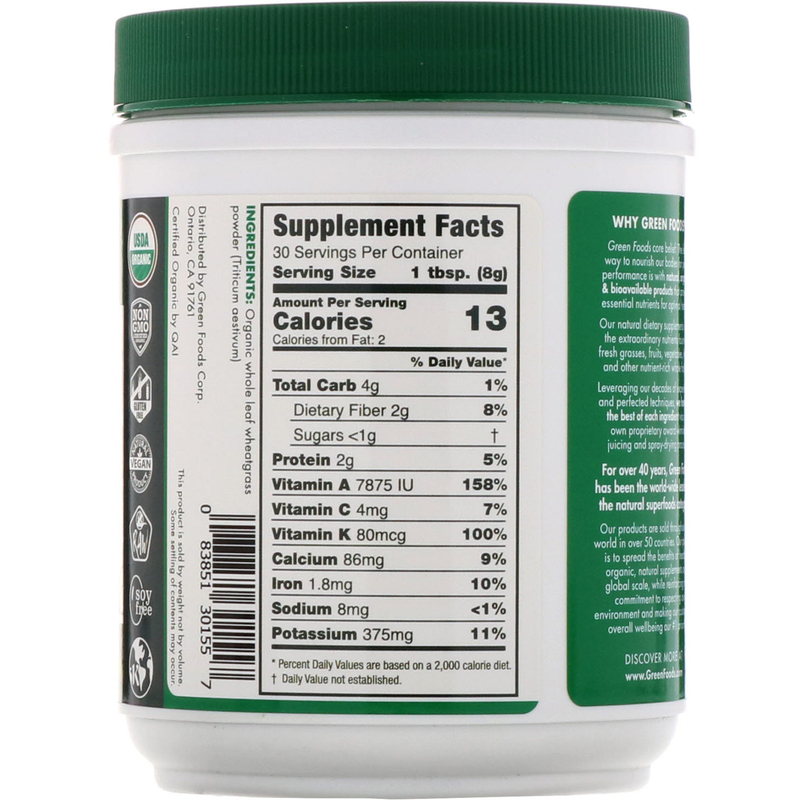 Our natural dietary supplements offer the extraordinary nutrients found in fresh grasses, fruits, vegetables, herbs and other nutrient-rich whole foods. Leveraging our decades of experience and perfected techniques, we harness the best of each ingredient via our own proprietary award-winning juicing and spray-drying process. For over 40 years, Green Foods has been the world-wide leader in that natural superfoods category. Our products are sold throughout the world in over 50 countries. Our passion is to spread the benefits of healthy, organic, natural supplements on a global scale, while reinforcing our commitment to respecting our environment and making our customer's overall wellbeing our #1 priority. Green Foods 100% organic whole leaf wheatgrass is a naturally field grown, reaping the benefits of real sunshine and soil to be at its nutritional peak. 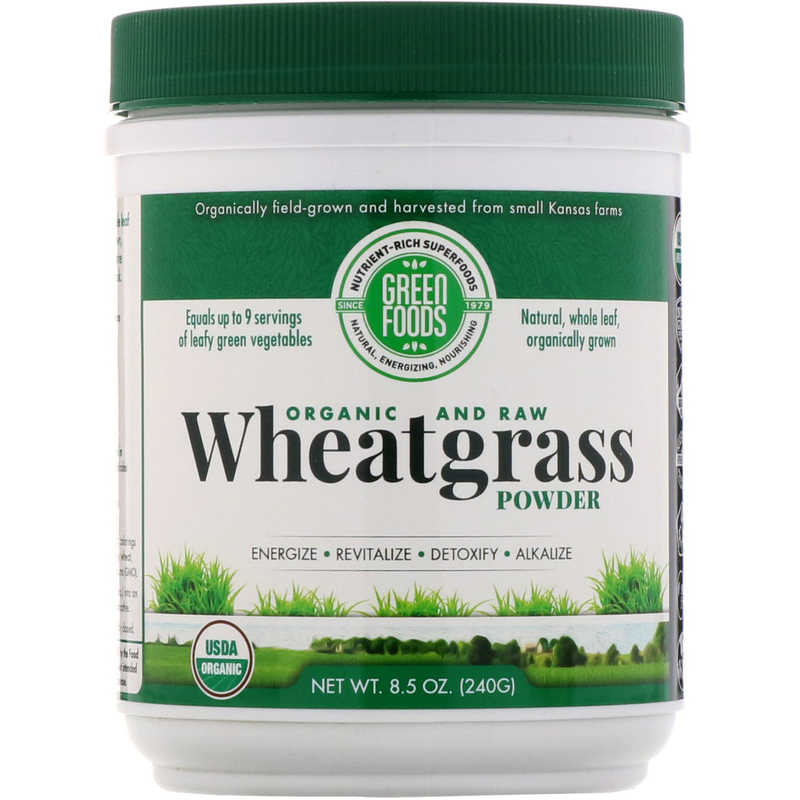 Our wheatgrass is grown in the USA without the use of pesticides or chemical fertilizers. Mix 8 g (approx. 1 tbsp.) into an 8 oz. glass of water, favorite juice, or smoothie. 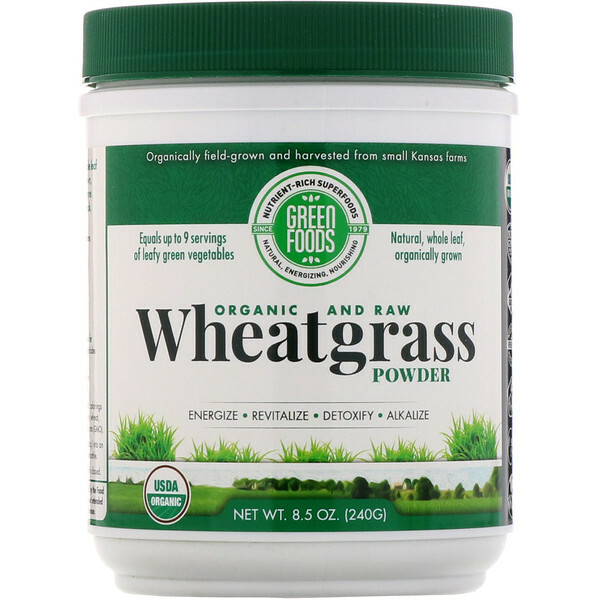 Organic whole leaf wheatgrass powder (triticum aestivum). Does not contain: Added sugar, salt, colorings or fillers & is free of animal products, soy, wheat, yeast, corn & genetically modified organisms (gmo). This product is sold by weight not by volume. Some settling of contents may occur. Store: in a cool, dry place with lid tightly closed.